Nedlac is a forum for labour, business, unions and government to discuss and formulate economic policy before it moves onto Parliament. 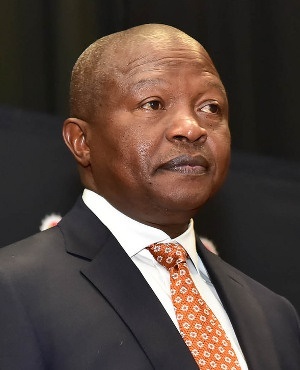 In his keynote address, Mabuza touched on the recession and economic prospects for the country, as well as upcoming initiatives announced in President Cyril Ramaphosa’s February State of the Nation address, such as the Jobs Summit and an Investment Summit. "We meet at a time when our revenues are declining. The Minister of Finance has budgeted for a VAT increase, with SARS indicating negative revenue collection outcomes," he said. "We have also encountered an economic decline in the last two quarters showing successive decline. Our inflation outlook is increasingly perilous, the effects of a VAT increase, rand-dollar exchanges and high fuel prices are beginning to impose their weighty implications. Both consumer and business confidence is showing strain." The lagging economy and lack of growth may necessitate austerity measures, said Mabuza, although he did not explain what these may entail or when they could be enacted. Mabuza briefly mentioned proposed stimulus measures which are expected to be announced by Finance Minister Nhlanhla Nene ahead of his mini budget on October 24. He said Nedlac should help craft "appropriate stimulus measures to cushion the poor and re-start the economy". The deputy president also said the state needed to cushion the poor from the effects of the lagging economy, although he did not spell out what specific interventions government was considering. He spoke in general terms about the need to finalise comprehensive social security and retirement reform, saying these needed to be "affordable, sustainable and appropriate for South Africa". "We are also acutely aware that this socio-economic pain is borne most by young people in general, and women in particular. These conditions make urgent the need to cushion the poor from the effects of the economic decline." Mabuza also said planning for two summits, that Ramaphosa hopes will help grow the economy - a Jobs Summit and an Investment Summit -were at an "advanced stage". He hit out at corruption, saying, "For our part as government, we have made the commitment to root out corruption and governance failures in our system".